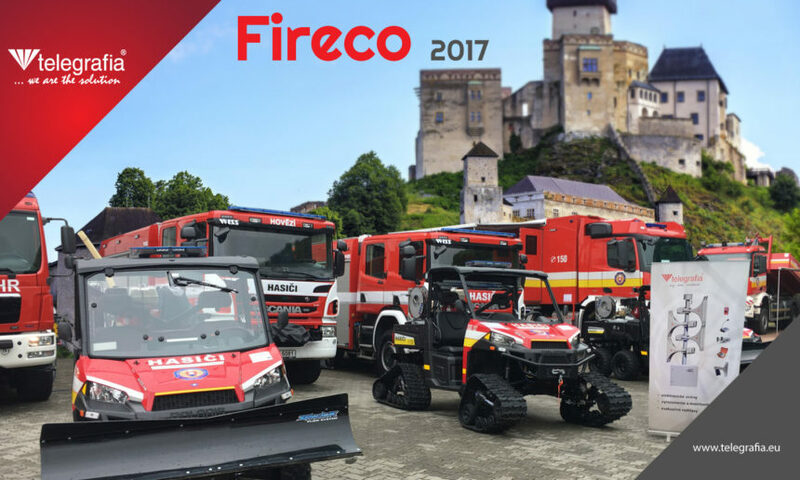 FIRECO is an international exhibition of fire rescue and security equipment for the Firefighting and Rescuing Corps of the Slovak Republic. It is the greatest and oldest exhibition of its kind in Slovakia. 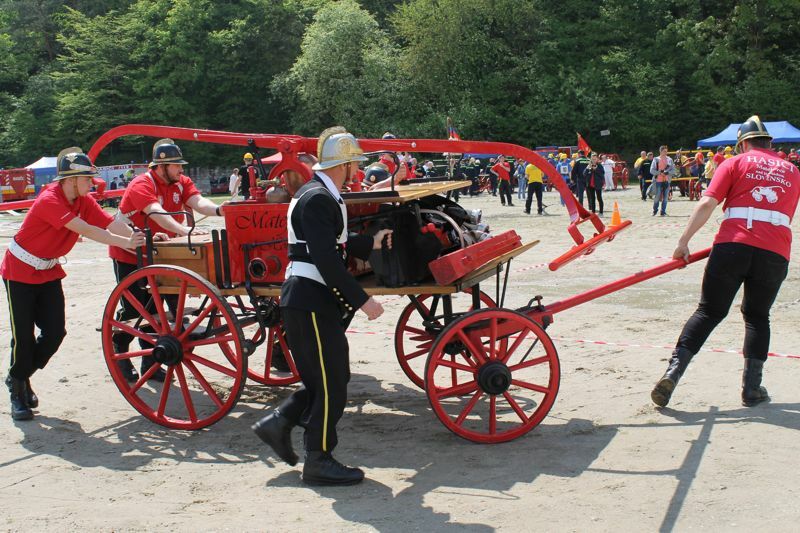 The goal of this closely-specialised exhibition is to inform the general and professional public of the latest types of fire rescue and security equipment as well as fire-fighting methods to protect a human life and health, and property against fire, accidents, natural disasters, and other emergencies. 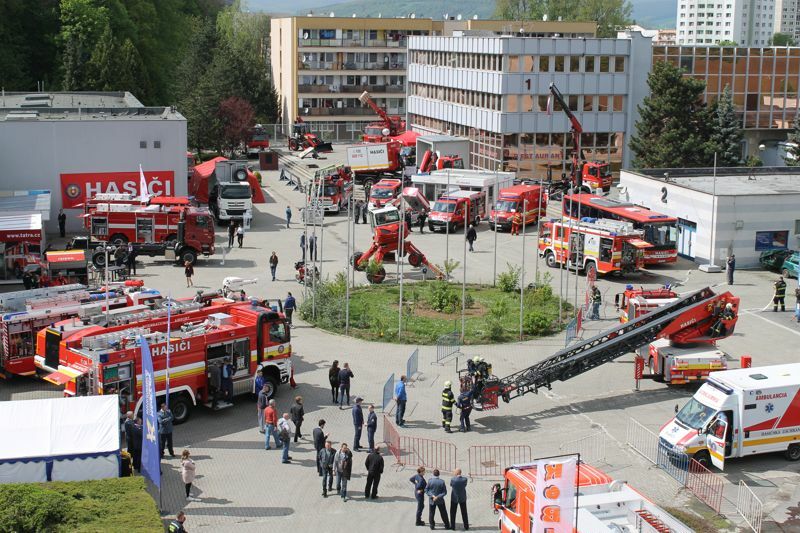 The exhibition is held every other year under the guarantee of the Ministry of Interior of the Slovak Republic, and it is accompanied by an international conference of firefighting and rescuing corps. This year, the main theme of the conference was “Fire Safety in Hotels and Other Accommodation Facilities in Relation to Tourism”. There was a varied program of entertainment at the time of the exhibition. 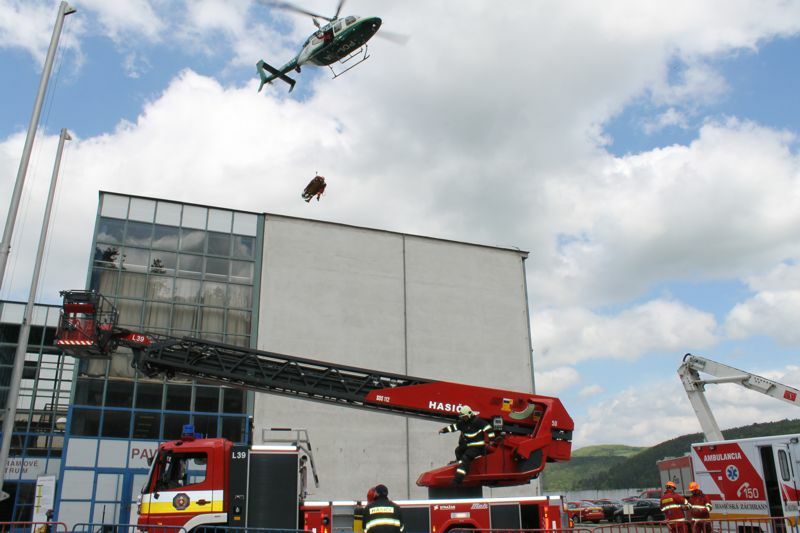 Some most interesting events included: the international competition of historical fire rescue equipment, presentation of collector’s curiosities/rarities of fire-fighting equipment, and practical demonstrations of fire suppression (for example a fire of solid substances), obedience of rescue dogs, freeing a person from and suppressing a fire on a crashed vehicle, rescuing a person from a high building using climbing techniques and a helicopter, and searching for a lost person by well-trained rescue dogs. 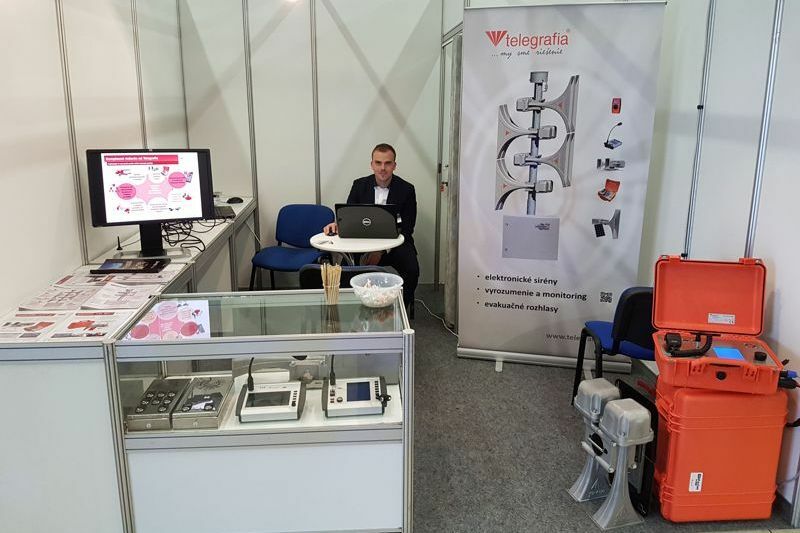 Telegrafia was one of the 23 exhibitors, exhibiting its early warning and notification devices: the mobile electronic Pavian CAR siren, stand-alone Bono electronic siren, the OCP 16 control unit, together with the Vektra® software system and its automation capabilities, extremely useful for fire stations. 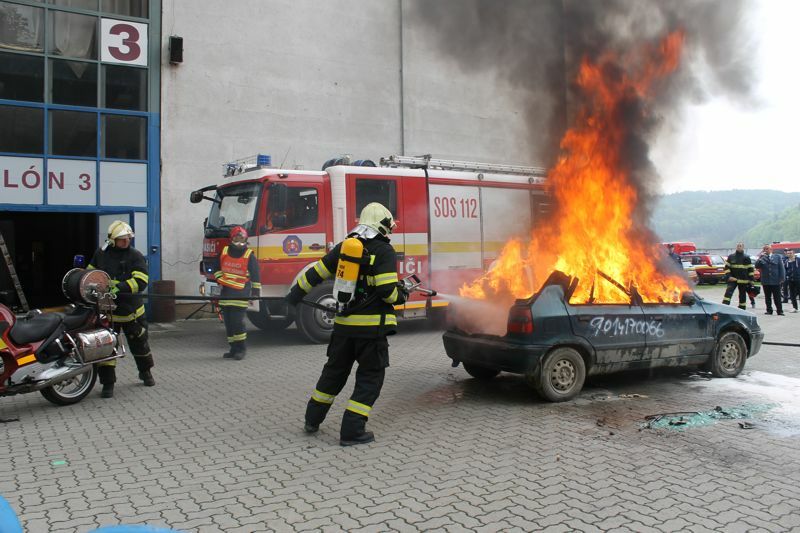 The company demonstrated its wide possibilities of providing the Firefighting and Rescuing Corps of the Slovak Republic with an all-in-one software application, offering a range of functionalities; for example, when operating a fire station (a safe departure of fire engines), planning working shifts, making fire records, monitoring material consumption, early notifying voluntary fire protection services, and many more. We will introduce you to some of these functionalities in more detail shortly.